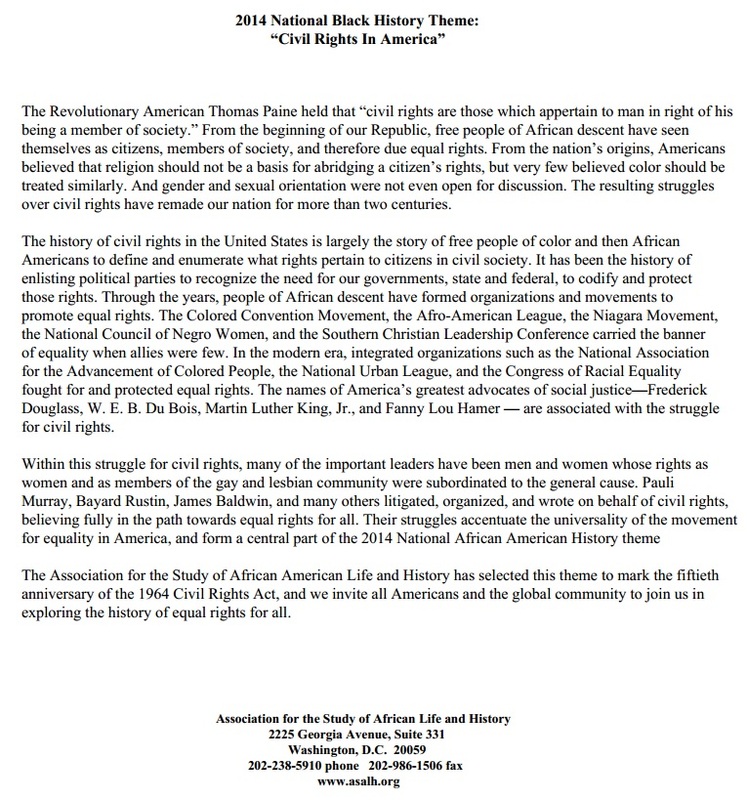 This year’s Black History Month theme is Civil Rights in America to commemorate the 50th Anniversary of the 1964 Civil Rights Act. To help celebrate, we will be highlighting library and online resources everyday throughout the month of February. We’ll be posting and tweeting these resources, so be sure to follow our Facebook Page and Twitter account.